My work building EnglishCentral and Gif Lingua have convinced me how images are so important for teaching language. The future of language learning and teaching is visual, is controlled reality. We teachers can provide so much context to teach direct and also the most salient features, points of language. My 50 Ways To Use Images In The Classroom is a much visited post and a fuller version of practical ideas for teachers regarding the use of images. But here is a nice resume of this list and some powerful ways to use images while teaching. Let’s take a set of images – how might you use them in class? 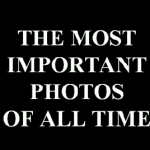 I’ll use this presentation I painstakingly put together several years ago: The Best Photos Of All Time. Here are a few ways a teacher might use these images in the classroom. 1. Discussion & Play and Pause. Have students describe the photo and state the reason for its significance. 2. Give students a photo and have them research it. Use the 5Ws. Present the background and information to the class. 3. Describe and Draw. A 2 way task students each describe their photo to the other who must listen and draw. Then compare against the original. 4. Timeline. Ask students to research the presentation and put the photos on an historical timeline. 5. Ask students to list their top 5 photos in the presentation. Debate in a group and then explain their group choices to the class. 6. What makes a great photo? Students can brainstorm and then share together the main criteria of what makes a photo “iconic”. 7. Vocabulary. Give students a photo and have them pull out the vocabulary in the photo, label and then share with the class. If you liked this post, you might also like some of the other posts tagged “photos”. Next story I’m a curator.